House Intelligence Committee Chairman Adam Schiff, Democrat of California. 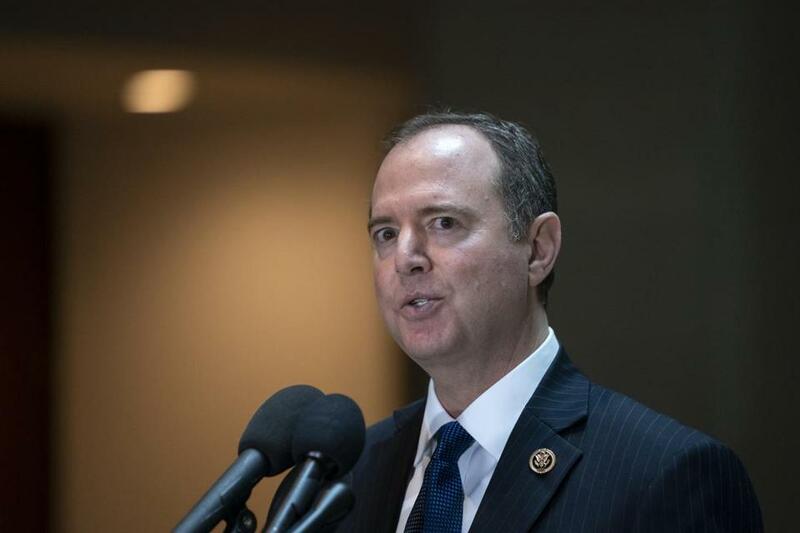 House Intelligence Committee Chairman Adam Schiff vowed to subpoena Special Counsel Robert Mueller’s Russia investigation report, and sue President Donald Trump’s administration for the underlying evidence if necessary to make it public. William Barr, confirmed by the Senate as attorney general this month, has signaled he may only provide a summary to Congress and the public of the report. While Mueller is close to completing his 21-month probe, he won’t submit his final report to Barr until sometime after next week, according to a Justice Department official. Schiff said it’s critical to get access not only to Mueller’s report, but to the evidence that was collected during the investigation into Russian interference in the 2016 presidential election and possible collusion by Trump’s campaign. He said he’ll subpoena the report, call Mueller to testify before Congress, and sue if details were withheld. Withholding evidence from Congress about possible wrongdoing by Trump could amount to a cover-up even if the president isn’t charged with criminal acts, Schiff and the leaders of six House committees told Barr in a letter Friday. A sitting president can’t be indicted under Justice Department policy, which also frowns on releasing evidence of wrongdoing by people who haven’t been charged. Even so, prosecutors turned over such material after its investigation of presidential candidate Hillary Clinton’s handling of emails and should do so again, Schiff said. The report should be made public, and Congress should receive all the supporting material, said Senator Kamala Harris of California, a Democratic presidential candidate in 2020. “Given in particular all the misinformation that we can, I think, rightly believe we’ve heard, it is important that the American public receive as much information and that we be as transparent as possible,” Harris said in an interview with CNN on Sunday. Meanwhile, Michael Cohen, Trump’s former lawyer and fixer, is set to testify before Schiff’s panel and two other congressional committees this week. Schiff said Cohen will be pressed on what he knows about possible collusion with Russia, why Cohen previously provided false statements to Congress, and about the finances of the Trump organization. “We think he has a lot to offer,” Schiff said. Cohen, who’s pleaded guilty to nine felonies, will appear in public next Wednesday before the House Committee on Oversight and Reform -- a re-scheduling of an appearance that had been delayed. In addition, he’s expected to testify in closed-door hearings before the Senate Intelligence Committee on Tuesday and the House Intelligence Committee on Thursday.